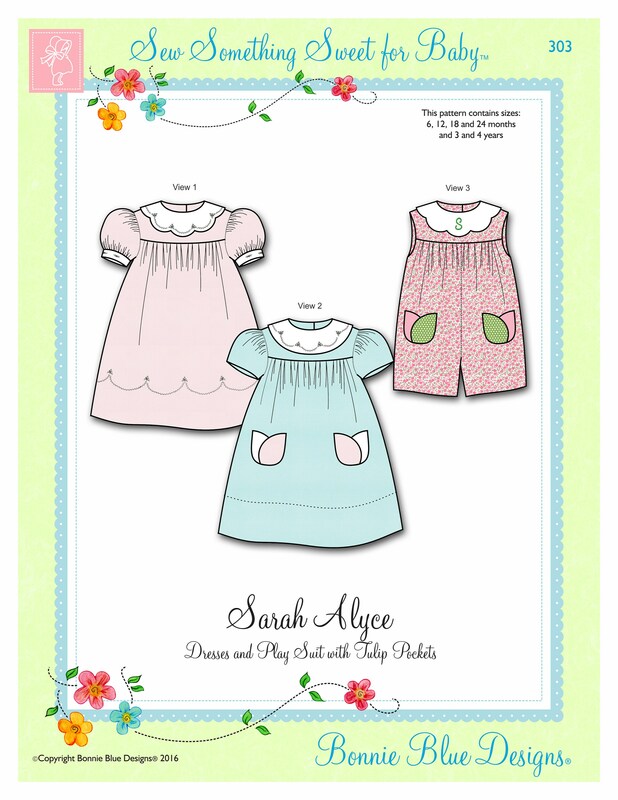 Package includes patterns and instructions to make Dresses and Play Suit with scallop or round collar and Tulip Pockets. Puff sleeves with band or cap sleeve options. 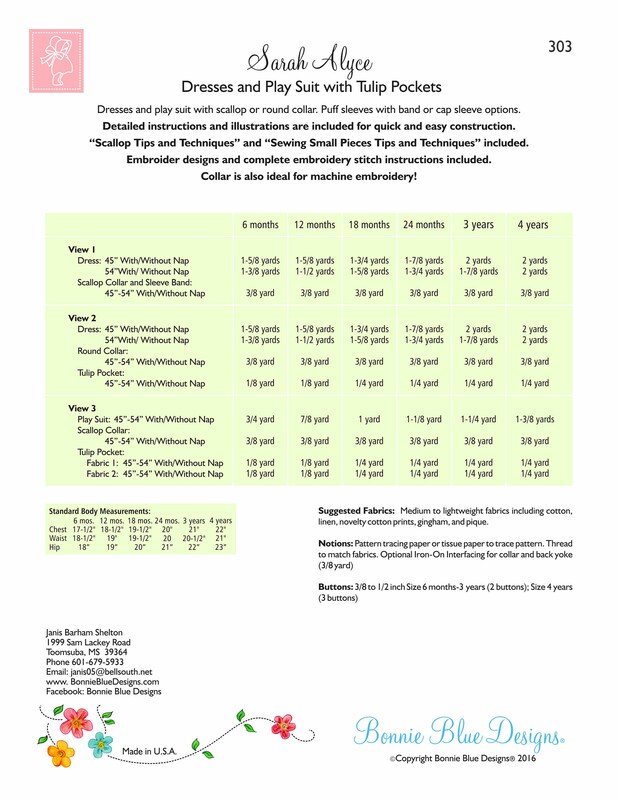 "Scallop Tips and Techniques" and "Sewing Small Pieces Tips and Techniques" included. Embroidery designs and complete embroidery stitch instructions included.